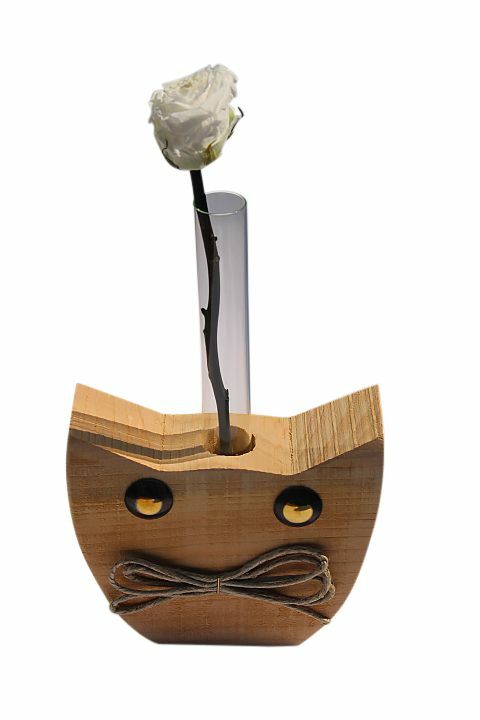 Centro del Mutamento cat face wooden flower vase with beaker. Vase measures approximately Hx4.5", Wx6" and Dx1.6", beaker Hx8". Hand Made in Italy of natural wood.